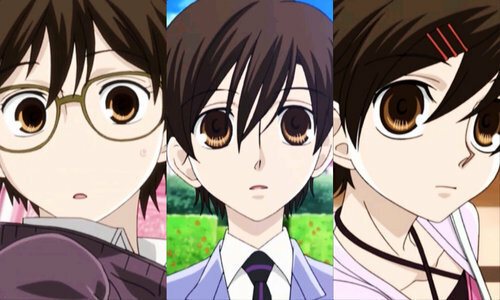 Through my small introduction to anime, I noticed a pattern in the depiction of gender ambiguous characters. It was particularly the character Grell, from Black Butler, that was the catalyst towards my epiphany that the depiction of gender fluid and transgender characters generally involved them appearing to be crazy, dangerous, flamboyant and as a comic relief. Ok, so before we get into my digital artifact, let’s breakdown gender. Gender is a social construct enforced on us from the moment we are born and marked as ‘male’ or ‘female’. It shapes the way we are treated and the way we are taught to behave. There are many different societies and cultures that hold different values and norms around gender, so it can be constructed in many varied forms. In the Western context, I know that systematic understandings of gender identity are in binary/cisnormative terms. Just look at the most recent census for Australia, where gender diverse, non-binary, and intersex people could not state their gender on the default forms. These systematic understandings shape cultural understandings, which means western media representations of trans and gender non-conforming (gnc) people are often extremely problematic. They produce misconceptions and misrepresentations about diverse identities, which cause direct harm to the lives of these individuals, such as the violence against trans women. Therefore, when I see characters such as Grell, it concerns me that these problematic representations I’ve seen in Western media may also be part of anime and Japanese culture. I wonder if the portrayal of gender ambiguous characters are meant to be seen as a spectacle, as outside normative gender identities and roles, rather than normalised? And are gnc/trans characters in anime created to represent gnc/trans people? I will note here that I have some knowledge of Japanese culture and how that affects the LGBTQ+ community, which I have attained through the autoethnography-based documentary ‘Gaycation: Japan‘ and a lecture I attended last year for SOC326 with guest lecturer, Mark McLelland, which was also on aspects of the LGBTQ+ community in Japan. Ok, now back to the digital artifact! For my autoethnography research project, I will be analysing the role of trans/gnc characters in anime and focusing on how I perceive these characters based on my context. I will then investigate the social and cultural structures of Japan that shape these representations, and analyse them in the same way. 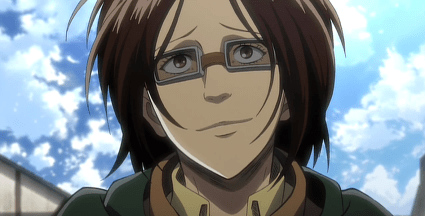 After spending some time researching ambiguously gendered characters in anime, I have narrowed it down to three characters: Zoë Hange from Attack On Titan (2013-2014), Ruka Urushibara from Steins;Gate (2011) and Haruhi Fujioka from Ouran High School Host Club (2002-2010). I picked these three as I found they were widely discussed amongst online audiences, unsure of their gender identities. Their genders were also never clearly defined by the creators. Ruka Urushibara. Image Credit: ofhedgehogsandshadows, WordPress. For this project I will be a participant observer, my participatory role being watching the animes and noting down what I observe and experience (Ellis et al. 2011). I will also be taking on the role of performative ethnographer, confronting the binary/cisnormative constructs that marginalise non-normative gender identities. It is vital that I approach this autoethnography with a critical imagination, as a “commitment [to critical imagination] involves a rejection of the historical and cultural logics and narratives that exclude those who have been previously marginalised” (Denzin 2003). A critical imagination (much like intersectional feminism) is hopeful for change and hopeful for better representation of marginalised groups. I think it would be wise to enter this project with a critical imagination! I will be accessing the anime series through AnimeLab, which is an Australian anime streaming service that launched in 2014. It is a legal and free service, however it comes with a catch: I can only access it through my Android phone and a free service only allows for subbed, not dubbed. My experience of watching anime has mainly been through dubbed versions, so it will be interesting to take on subbed. This way I will truly be removed from any connections to a familiar culture, considering dubbed versions have been said to ‘localise’ the original script more than subbed versions (See here and here). Next post I will re-evaluate my project proposal and research further into all things gender and anime. Stay tuned! This entry was posted in DIGC330 (Digital Asia), Non-normative genders in Anime and tagged anime, attackontitan, autoethnography, blackbutler, digc330, digitalartifact, digitalasia, genderinanime, gendernonconforming, japan, lgbtq, lgbtqjapan, ouranhighschoolhostclub, steinsgate, transgender. Bookmark the permalink.